Lip care is something I have really upped in my skincare routine this year and I have to say since taking more care it really has shown and lipstick application these days is much easier and lip products look so much nicer so today I wanted to tell you about a new product by Clinique that I’ve been trying out which may excite you too if you are into lip care like I am right now. The new Clinique sweet pots are indeed very sweet to look at, they look very much like Macaroons which are of course delicious so when I saw these I couldn’t wait to give them a try. These sweet pots are not just your average lip balm, in fact they also have a lip scrub so it’s the perfect duo for prepping your lips and also to pop in your bag for lip treatments on the go. The sugar scrub and lip balm duos currently come in 6 different shades, all very vibrant and fun but for those that don’t like a lot of colour on the lips then these would be ideal for you because the colour pay off actually isn’t as vibrant as the pot which for me was a nice surprise because I didn’t really fancy wearing a bright orange lip or dark plum lip when it came to using the balms. 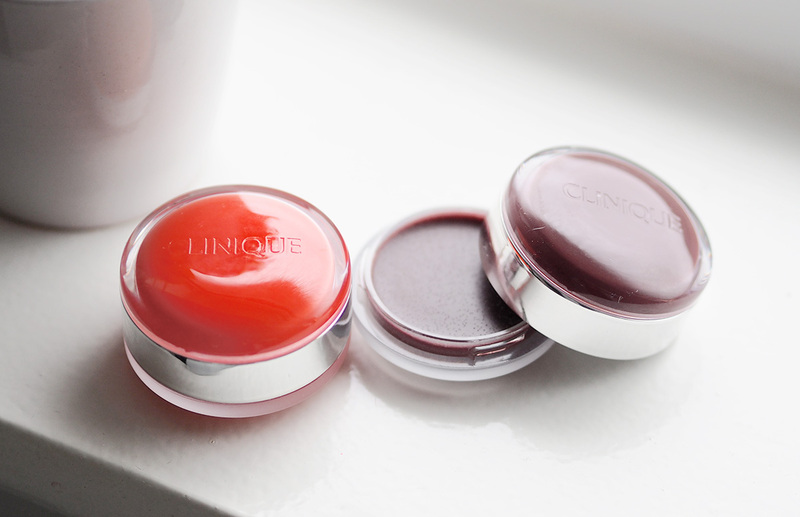 These balms offer a subtle amount of colour and nourish the lips nicely, I tend to use it daily just to keep my lips well moisturised and also to prep before lipstick application. The scrub itself is actually a lot more gentle than I had imagined it would be, you simply just rub on then tissue off and it’s suggested that you use it unto 3 times a week for maximum results. To be honest I haven’t used the scrub as much as I thought I would just because my lips haven’t really needed it but I will use it when I fancy wearing a bold lip and really need to prep the lips beforehand, it’s nice and gentle and not too abrasive. If you want to grab yourself a Sweet Pot you can buy them for £15 which for 2 products in 1 I don’t think is too bad although it is more of a treat purchase and I have to say they do look very pretty on my vanity table overall a nice product and great idea, I think the scrub could be a little more gritty if they were to improve the formula in the future but the balm is ideal it’s smooth and isn’t sticky which I love and is what I look for in a lip balm.